We have written a new article on Raman miniature spectrometer design, available with the June issue of Spectroscopy Magazine, that we believe will be of interest to you. Our FREEDOM mini Raman described below is an example of an ultra compact spectrometer based on the design principles mentioned in this article. We encourage you to read the article, visit our webpage, and visit us on one of the many exhibitions we participate in around the world to learn more about compact spectrometers. Raman spectroscopy is experiencing strong growth in the form of handheld and compact portable instruments. This sets demanding requirements on instrument size, weight, and power that cannot be met by high-end, laboratory bench-top Raman systems. In this article, we describe the key factors that influence the overall size of a spectrometer, such as the diffraction grating groove density and detector size. 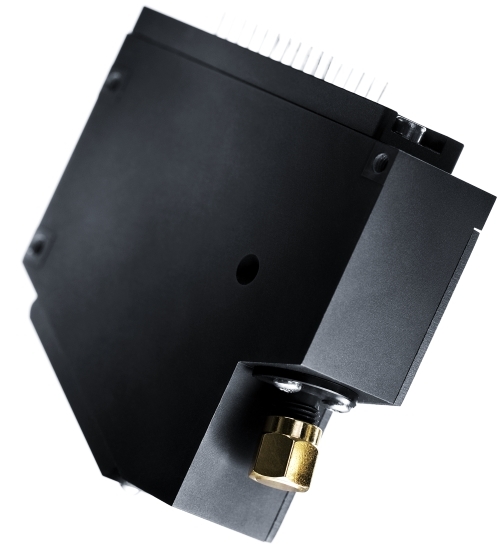 FREEDOM miniature Raman offers the perfect balance between compact size and high performance in your instrument design, due to the use of Ibsen Photonics’ unique transmission grating technology. The spectrometer is intended for OEM integration in Raman instruments and can be configured with a range of different detectors, allowing trade-offs between cost, sensitivity, and noise to be made. The USB control electronics is optional, enabling our customers to develop their own electronics or even re-use already developed electronics. Additionally, the spectrometer is robust and almost athermal and can operate under demanding environmental conditions. These benefits make FREEDOM mini Raman suited for small size, handheld and portable instruments for process control and field applications like Raman spectroscopy for the pharma and security industries. The size of the spectrometer is only 61 x 64 x 19 mm and yet it covers a wide spectral range of 475 nm to 1100 nm with a high resolution of 0.6 nm. The spectrometer is very flexible and can be used with many different laser wavelengths covering the popular 532, 785, and 830 nm. For instance, with a 785 nm laser, 200 – 3650 cm-1 can be covered with a resolution better than 10 cm-1.